Personalised Engraved Burleigh Silver Finish Pocket Watch with Chain. Full Hunter style (no window) with Roman Numerals, Quartz Movement and 30cm chain and clip fixing. Each pocket watch comes with its own gift box. 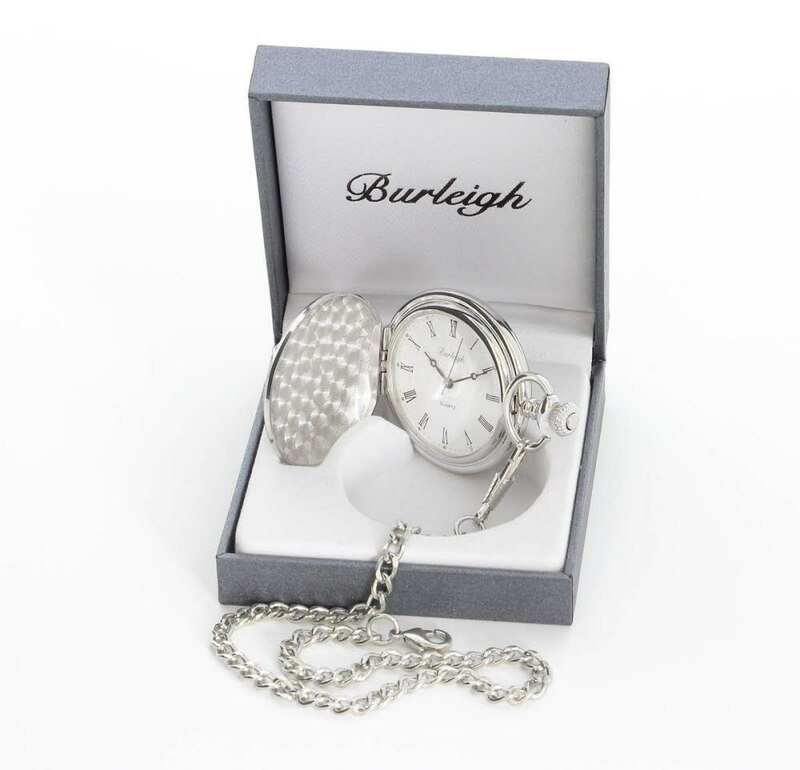 Engrave this beautiful watch with a special message or keep it simple and just add a name. Ideal present for Father's Day, Special Birthdays, Weddings, Christmas...it's endless! They make great keepsakes for Christenings and also for the Father of the Bride and Groom.